Jaya he, jaya he, jaya he, jaya jaya jaya, jaya he ! National Anthem is a mark of country’s identity, the man Rabindranath Tagore who linked west and east, he was born in Calcutta in 1861. National Anthem of India is ‘Jana Gana Mana’ , which is written in Sanskrit Bengali, Firstly it was sung in Calcutta in the session of Indian National Congress on 27th December 1911. Original poem was written by Rabindranath Tagore, which was translated in Hindi-Urdu by Abid Ali , there was only little difference from the original song. Performance of formal National Anthem takes fifty two seconds , a shortened version contains last and first lines which takes 20 seconds. Tagore and Margaret Cousins wrote the English translation of the song. National Anthem song has been written almost using nouns that can function as verbs, all nouns of the songs are use in all major languages in India. That’s Why original song is clearly understandable and it remains unchanged in different Indian Languages. 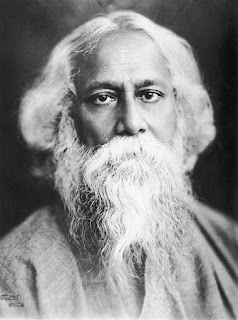 In Year 1919, Tagore accept an invitation from his friend and Irish poet to spend a few days at the Besant Theosophical College located at Madanapalle, then in the evening of 28th February 1919 he joined the gathering of students and sang the Jana Gana Mana. The National Anthem of India is played on various occasions, Instructions have been given from time to time for the correct versions of the Anthem, the occasions on which these are to be played , and the need for paying respect to the anthem after 5 year in 1901 Dakhina Charan Sen sang a song at another session of the congress held at calcutta.